This zip file contains the existing student computational activities developed by Ruth Chabay and Bruce Sherwood in the context of the introductory calculus-based physics curriculum Matter & Interactions (Chabay & Sherwood, John Wiley & Sons, 3rd edition, 2011). The 3D programming environment is VPython, which is based on the Python programming language. This collection contains many examples, more than can be assigned in any one semester. Instructors will wish to vary assigned activities from one semester to the next and/or vary initial conditions. 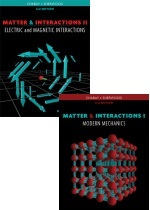 These materials are free to physics instructors to use or modify to fit the needs of students. Those who are new to VPython might wish to work through all the Mechanics assignments in order. The authors request that users of these materials do not post all of the activities to a public place, just as they discourage students from collecting and posting solutions. It took a significant effort to create computational projects appropriate for the introductory course. The authors would like these to be usable for a while. Write to Ruth_Chabay@ncsu.edu or Bruce_Sherwood@ncsu.edu for a password to open the zip file. Please state how your status as a physics instructor can be verified. If you are not a physics instructor, note that the VPython installer includes abundant documentation and examples for learning VPython, and there are additional VPython physics examples available at http://matterandinteractions.org. Development of these activities was supported in part by NSF grants 9972420, 0320608, 0237132, and 0618504. R. Chabay and B. Sherwood, Computer Program VPYTHON INTRODUCTORY COMPUTATIONAL PHYSICS (2007), WWW Document, (https://www.compadre.org/Repository/document/ServeFile.cfm?ID=5692&DocID=266). R. Chabay and B. Sherwood, Computer Program VPYTHON INTRODUCTORY COMPUTATIONAL PHYSICS (2007), <https://www.compadre.org/Repository/document/ServeFile.cfm?ID=5692&DocID=266>. Chabay, Ruth, and Bruce Sherwood. "VPython Introductory Computational Physics." https://www.compadre.org/Repository/document/ServeFile.cfm?ID=5692&DocID=266 (accessed 23 April 2019). Chabay, Ruth, and Bruce Sherwood. VPython Introductory Computational Physics. Computer software. 2007. 23 Apr. 2019 <https://www.compadre.org/Repository/document/ServeFile.cfm?ID=5692&DocID=266>. These computation activities are designed for courses based on the Matter and Interactions textbook.